Struggling to explain to people at international art fairs where exactly Gisborne is, Matt Nache of Paul Nache Gallery has settled on telling them he is from the future: “I wake before you, I eat before you, I dream before you. The first city to see the sun in the world, I live in the land of light,” is his pitch. This mystic way of explaining the world Nache says amplifies why he chooses to live in Tairāwhiti, or Gisborne. Always moving, yet making isolation a strength also marks out Matt Nache’s quite extraordinary practice as a contemporary art dealer. His gallery Paul Nache, established in 2009, is Gisborne based, but also highly mobile, representing artists from around New Zealand, Australia and even Las Vegas. 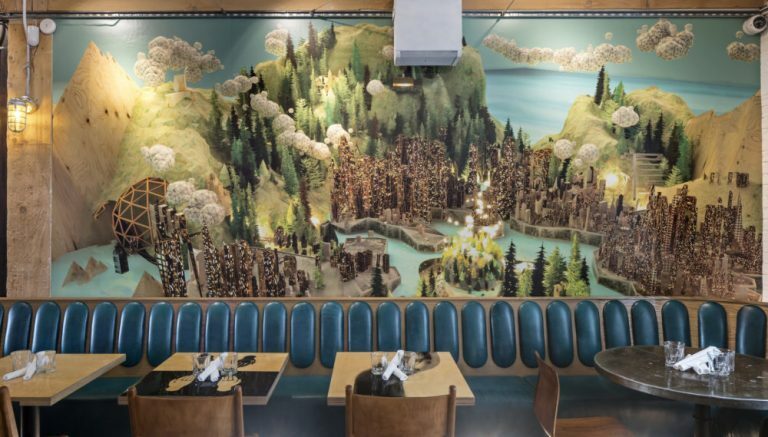 Gisborne affords Nache a nice big light-filled space in the middle of town to exhibit, but he’s just as likely to be elsewhere - most recently showing Wellington based, Tolaga Bay-born artist John Walsh’s paintings at Art Central Hong Kong. Nache will be at the Sydney Contemporary Fair in September. Nache has entrepeneurial flair and cheek to burn but its coupled by a strong appreciation of artistic excellence and what is good dealer practice. It seems matched by a generosity and grounding in his place, which sees plenty of local activity at the gallery as well. It’s no easy thing to hold both local and global positions as an art dealer. Out in the world the gallery exists more as a brand. “The nature of a gallery space has evolved,” says Nache, “whether it’s a physical museum or gallery or an international art fair, a private residence or an online exhibition. It’s my job to provide the space for the artists to create in. Gisborne was a natural place [for Nache] to return to after gaining a Bachelor in Design in Wellington. It’s his place of belonging. “No matter what else happens I am myself here. It was important for me to reconnect. But it was a really difficult business decision to establish in a small provincial city. There hadn’t historically been a contemporary art dealer here and its highly unlikely there will be one after me. It’s a very slow progression in terms of the economy and population growth, especially one which could support creative industry. Nache says that Gisborne is currently planning for the 2019 sester-centenary of Captain Cook's landing - the first meetings between Māori and Europeans. Local Iwi, Council and the Te Ha Trust, are fuelling a lot of creativity through open dialogue and initiatives, which is healthy for both the arts community and local economy to engage in. Interview with Matt Nache, exploring how New Zealand’s edges can also be our arts centres, written by arts writer Mark Amery. 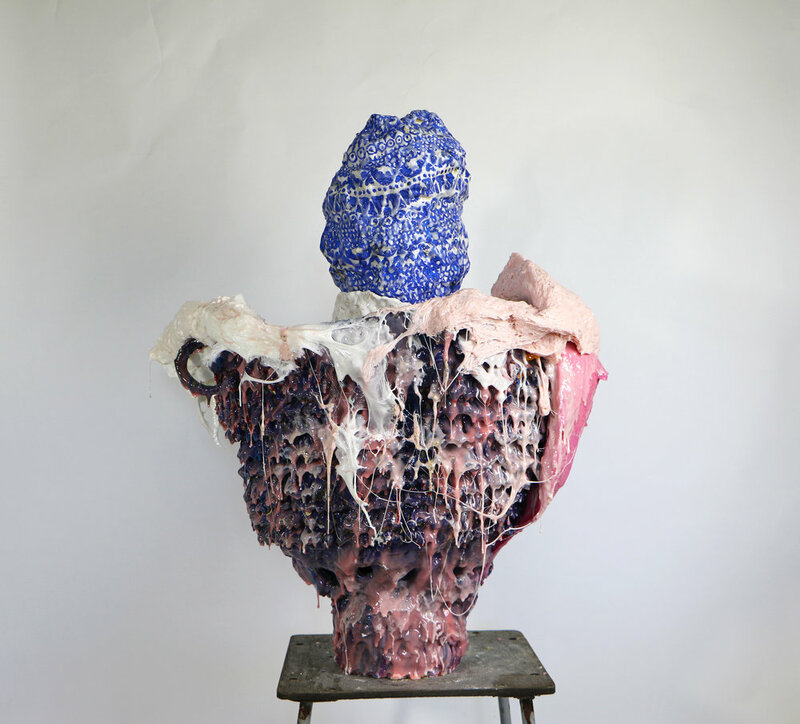 PAULNACHE is thrilled to now represent Virginia Leonard, a NZ-born and based artist who works with clay in a response to the broken parts of her body. After graduating with a Master of Fine Arts from Whitecliffe College of Arts & Design in 2001, Virginia was the winner of the Molly Morpeth Canady Art Award, Whakatane (2012) and winner of the Walker and Hall Waiheke Art Award, Waiheke Art Gallery, Waiheke (2011). Her recent exhibitions include: Graffiti Lounge, group show at PAULNACHE, Gisborne (2016); The Effects of Crack, Objectspace, Auckland (2014) and Foursome, The Vivian, Matakana (2014). Virginia won the Merit Award at the Portage Ceramic Awards, Te Uru Waitakere Contemporary Gallery, Auckland (2015); a consistent Finalist in the Wallace Art Awards and was a Finalist in the National Contemporary Art Award, Waikato Museum. At least she will be in the hands of artist Evan Woodruffe who, as part of his Auckland Art Fair show with Gisborne’s Paul Nache gallery, plans to enfold her in acres of silk crepe georgette printed with his own colourful painting. And she’s bound to make an impact: at over six feet six (two metres) tall, Fleur certainly fills the gallery brief of creating an installation in which scale plays a crucial role. “Scale is absolutely the key and that will be seen in how we squeeze in Evan’s giant paintings that really push the limits at every point,” says gallery owner Matt Nache of preparations for next week’s fair. Regarded as New Zealand’s international showcase for contemporary art, the Auckland fair last year took a break but the year before PaulNache attended, its drawcard being Las Vegas-based artist Matthew Couper giving live painting demonstrations — dressed in an ape suit. 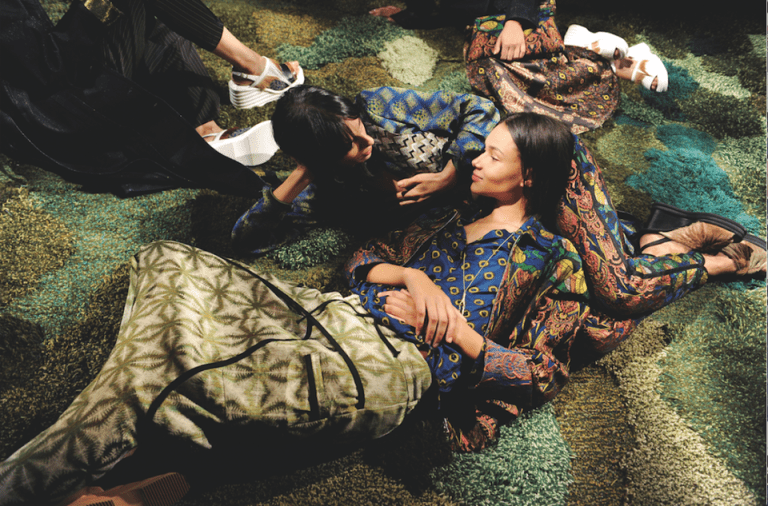 But while Nache says performance art like that and Fleur’s appearance in her printed garment (designed by Steven Ball) adds to the “spectacle”, it’s the art that’s important. That garment will, in fact, become a piece of art – forming a sculpture where Fleur leaves it puddled on the floor and, as well as his canvases, Woodruffe has also painted a striking vintage armoire, further pushing the boundaries of what is a painting and what is not. Meanwhile, Gardiner — who recently relocated from Gisborne to Sydney — continues to test his painting practice of setting hard, linear structures against soft impressions of life and movement. And Hayward develops even further his sculptural trickery, whereby he sculpts and paints what appear to be everyday objects, testing the viewers’ belief of what is or is not real. All three artists have exhibited in Gisborne over the past year and Nache says that’s important to exploring how they work as individuals, and together. Adding to his physical dealer gallery in Gisborne by attending national and international art fairs “is an opportunity to network and develop that global view”, Nache says. “Our aim is always to put together an installation that is captivating but we also love to have an element of unpredicatablity and spontaneity,” Matt Nache says. The 2016 Auckland Art Fair is on at The Cloud (Queen’s Wharf) on May 25-29. Evan Woodruffe, Scott Gardiner and Glen Hayward present an artists’ talk at the Paul Nache booth A3 on May 28 (1pm). TAUTINI’S DEMISE: Artist John Walsh has teased out an ancient Te Aitanga-a-Hauiti story for works shown in his first solo exhibition in Gisborne for more than 15 years. “I struggle to fill the commitments I already have,” he says, “but this time I pushed a few things aside to make sure the exhibition would happen.” IMG X Michael Hall courtesy of PAULNACHE and the artist. THERE is trouble brewing in the lush, saturated bushlands of artist John Walsh’s imagination. Known for eating the flesh of children in an effort to prolong his own life, Tautini — of Tokomaru Bay’s Toiroa Maunga — has made the fatal error of devouring the child of fellow chief, Tutemangarewa, who responds by cutting off Tautini’s head. Recent works by John Walsh opens at PaulNache at 6pm tomorrow (Friday, April 8). But the carnage does not end there: Tautini’s daughter Te Aotawarirangi smears herself with blood, retrieves the decapitated head and incites her brother Tuterangikatipu to make war to avenge their father. It’s an ancient, gory story, but one that has a modern-day legacy in the Te Aitanga-a-Hauiti affiliated Anaura Bay marae Hinetamatea, named after Tautini’s wife. And it was to Hinetamatea that Walsh — himself of Te Aitanga-a-Hauiti descent — headed when he was earlier this year invited to be artist-in-residence at a wananga held at the marae, where arts group Toi Hauiti was driving a project to build an imposing new waharoa (gateway). For him, it provided an entry to the stories of his ancestors, specifically that of Tautini and his interesting appetites. “I’ve got no doubt that someone will get upset about the airing of this tale but that was not the intent and, in fact, the whole kaupapa of the wananga was to take ownership of and tell these unique stories,” he says. He doesn’t want people to be shocked or revolted by the story, he says, “but to be mindful that this took place in an isolated community, thousands of years ago”. The result of all that korero during the residency is a series of half a dozen dramatic paintings that make up a large part of the exhibition Walsh this week opens at Gisborne gallery PaulNache. Though the artist was based at the seaside marae, much of the imagery is seen from the maunga Toiroa itself, a lush, imagined bushland falling away into the ocean below. But it’s not all rich greens and intricate, ancient pa sites: in some pieces Walsh has, uncharactistically, allowed himself a bit of “negative space” to give viewers room to contemplate specific images – the blood-smeared figure of Te Aotawarirangi; an open space in front of the whare where Tautini meets his demise. Though the paintings are new in their content, Walsh says they are a continued reflection of his upbringing in Tolaga Bay and Gisborne, his home until 1993 when he moved to Wellington, where his trajectory as a collectible senior artist really took off. In an (often unsuccessful) effort not to offend his iwi, Walsh has in the past constructed his own narratives and his own characters. “But it’s all been connected to here,” he says. “This is where it has always come from.” In any case, this time team Hauiti is really on board, from hosting the wananga where the artist developed his work, to coming up with the kai for this week’s exhibition launch. Still, it’s not all about them and Walsh has also created works inspired almost entirely by place names — evocative titles like Mangatuna and Wharekaka. And another striking, central work illustrates a story about an ancient Scottish practice whereby an offender is set afloat in the sea near a gannet colony, an enticing fish tied to his head. Their prospects were grim, Walsh says, gannets often dive on their prey from great heights and can hit the water at 200 miles an hour. And though it is a completely different narrative from the Tautini series, for the artist, the imperative to paint it was just as strong. Oral history is not an exact science, Walsh says, “but nor is any kind of history”. But in this new series he is telling his-story — the oral traditions his iwi holds as its own. Painter Evan Woodruffe, whose work is on view in the upstairs Graffiti Lounge of the Paul Nache Gallery in Gisborne, Aotearoa, New Zealand, thinks of his work as "assertively decorative." Woodruffe's stated intention as an artist is to present "a confused multiplicity of interconnected elements and surfaces that allude to our current urbanism." The results are bold, spellbinding and literally dazzling. My mother, father, and two elder brothers escaped the class system of England (dad was born in London's East End), arriving in New Zealand in 1964. They brought very little out with them, but there were some paintings from both sides of the family: a watercolour of Woodbridge by great-great-uncle Charlie, and some peculiar garden scenes by my grandmother Aida Wormald, where she'd used watercolour with almost no added water, so they're composed of very bright resinous drops. My father, John, had been trained in the late 1940s as a designer; one of his teachers was Alan Fletcher, the father figure of British graphic design. In those days, everything had to be hand-rendered, mainly in gouache, and dad still paints very skilfully in this medium. Vivienne, my mother, has a fabulously light touch with paint and pastel, but is too modest to show much. I'm very proud to have one of her keenly perceptive self-portraits. My five siblings are all creative, from my youngest brother Lars, a film editor based in New York City, through Emil (motion-graphics), Kate (PR), Garnham (landscape design), to my eldest brother, Paul, who's been painting much longer than I have. I came to serious art-making later in life, having abandoned my first creative pursuit, music, when I got too old to be a young rocknroll animal. Did you have any important mentors or experiences that shaped your art? When I was eight, my parents took us to see Luc Peire's Environment III (1973), which had just been purchased by Auckland Art Gallery. It was a cube one entered, with a mirrored ceiling and floor; I could see myself reflected into infinity, receding forever down and up to an accompanying space-age soundtrack. I felt disembodied, like I was floating off into the artwork. It was an incredible feeling for me at that age. In 2014, I stood in front of the massive Ngayarta Kujarra (2009) canvas painted by twelve Martu women from Punmu in Western Australia. Again, I felt like I was sucked in to the picture, transported to another place, and swore I could see figures moving in the pale central area. Sometimes a picture can make me cry; the last time was a small work by Henri Fantin-Latour (d.1904), bequeathed to Auckland Art Gallery a couple of years ago. It was just some flowers in a vase, but they were so beautiful, as if they were tearing their fabric to enter our world. There is an excellent book by James Elkins: Pictures and Tears (2001) that looks at this affect, which he calls trance theory: "People who cry in front of paintings are actually taken away: their motionless bodies remain in front of the paintings, but their thoughts are temporarily lost, even to themselves [...] they come back, shaky and unsteady, as if the trip back from the painting led across a narrow bridge suspended high over a gorge". Imagine making such a work? It must only happen to a few, and perhaps only once or twice, and by accident. Tell me about your influences: it looks like Aboriginal art is one, right? The assertively decorative structure in my work can be linked to Aboriginal painting, though perhaps this is more a regional reference (one that I myself make). For while the traditional Western model tends to avoid the decorative in Fine Art, leaving it to applied arts such as textiles and ceramics, there are many contemporary artists who do employ its all-over effect: Chris Ofili, Ding Yi, Fred Tomaselli, and Philip Taaffe, for example. Taaffe has described using decoration to initially attract viewers, so that their attention can draw out deeper meanings. There are also similarities with the cartographical aspect of the work: there is an archaic approach to map-making, where the Western aerial, topographical visualization is challenged with a more narrative description, a traveling-through approach which can be seen in many non-Western cultures, including Aboriginal. While Aboriginal painting is very specific about place, however, mine attempts to convey a more fluid idea of landscape, one that is less tied to geography. In both painting and our environment, discovery comes from making a movement through it. The verb to invent comes from in-venire, to come across; so invention comes from maintaining a state of expectation while moving through an area, allowing the discovery of the new. Roberto Matta's approach opens up the way to an image through a series of 'accidents' or informal gestures, as in his painting Bringing Light without Pain (1955), and this is a constant influence in my process: what happens when one doesn't have control? This 'coming across' the image I see also in Dorothea Tanning's paintings from 1957-63, especially in work like Dogs of Cythera (1963), where form begins to shape from a formless flurry of visual information; I love her ability to hold the viewer on the threshold of recognition. While I understand Yayoi Kusama's infinity nets are for her a very real merging of psychic and physical realms, what I'm intrigued with is how they create a filter or screen that fluctuates with its uneven application, generating a rhythm across a surface. This is where my circles come from; for me, they become a permeable membrane that filters, transmits, and connects. How did you gain all of your technical knowledge of painting? I grew up with art materials, and when my father left advertising to start an art supplies store when I was nine, this immersion increased. I began working there as a young man, but as music occupied my creative drive at the time, I decided to investigate the technical side of the materials. The store was dealing directly with a number of excellent German manufacturers, most notably Schmincke (colour) and da Vinci (brushes), so I was able to talk with people who were not only operating at the height of German excellence, but whose families had been making artists' materials for generations. When I stopped playing music and began painting seriously, I was able to join the technical with the practical and began writing instructional booklets and articles. My understanding of artists' tools was extended by visits to various manufacturers both in Germany and the USA, and after my family sold the business to a large art supplies company, I kept a part-time role for training, demonstrating, and specialist marketing. What are some of the ideas and images that inspire you? In that 'landscape' is a manmade concept and therefore readily available as a metaphor, my work is fed by the idea that our landscape is once again a very baroque one. My understanding of landscape includes the washing hung out to dry in my apartment as much as the trees I see over the balcony. Anselm Kiefer said that one cannot paint the woods the same once the tanks have rolled through them; I add that one cannot paint them the same once the Broadband has been rolled out, either. Our modern landscape includes history, fashion, technology, detritus. When I walk through my environment I see the sky, buildings, graffiti, people with tattoo, bright dresses, neon signs, trees, litter, motion, emotion - and I check my phone so whatever's happening in world is added to my experience. This is landscape now: a multi-perspective world of clarity and obscuration, fast and slow and totally baroque. Living on some islands at the bottom of the Pacific, I'm interested in how our connection to the rest of the world is deliberated across water. Unlike the tangible nature of land, the ocean is ungovernable, and acts like an unpredictable site of negotiation. The Pacific peoples called the space between islands 'Va', a place of connection, trading, uncertainty, and flux. These values seep into my painting (my paints themselves water-based and fluid), to affect my decisions of colour, quantity and quality. I like the idea of a 'wet gap' that connects everything, rather than us all as dry, separate beings. Have you always been an abstract painter, and are you in fact an abstract painter? I think all painting is unnatural and abstract: with realism, the more one tries for the true trompe de l'oeil, the flatter and less like reality the surface becomes. Conversely, the more deconstructed or abstract an image, the more the eye tries to find a recognizable pattern in it, to return it to form. When I began painting seriously, I decided that I would first need the skills to render things as I saw them. I'm not saying this is how it must be done; it is different for each of us. Once I knew how to paint something to look like that thing, at least initially, the great difficulty was - and still is - to break that habit. The more one becomes competent, the more one has to fight that ability in order to come across something new. I think that these days to paint figuratively and transcend the abilities of photography and film, one must be really insightful, skilful, and brutal, at least in one's convictions and there are people who are more competent in this than me. A few years ago, I realised that I could excite myself to better results by dissolving the figure into its modern environment; the viewer became the figure in my work, and I attempt to create a shift in their experience of landscape through telling it in a more extra-ordinary manner. Give me a little known fact about yourself. There are so few, the ones that have remained little known should probably stay that way! How is the art scene in New Zealand? For a small island country, New Zealand (pop. 4.5 million) has a thriving domestic art scene. There are few who make their sole income from sales, with many also employed in teaching or arts-related jobs, but there is a healthy dealer gallery scene, backed by good public galleries and community art centres. There are a number of significant awards and residencies operating, the Auckland Art Fair attracts galleries from around the region, and New Zealand is represented at several Biennials, including Venice. Operating from an archipelago far from the next landmass has its advantages: the distance filters the international art we see - we tend to see the best and miss the worst, so the bar we set ourselves is high. We are keen to get our work off these islands into the wider world, and so try to locate our work in a wider context. New Zealand galleries are regular participants at Melbourne Art Fair, Sydney Contemporary, Art Los Angeles, and Basel Hong Kong. I like to eat, drink and dance with my friends and family. My partner and I love the delicate yet strong balance of flavours that make pre-1950 cocktails. Of course, if one is drinking there should also be good food made from fresh ingredients. Dancing helps shake of the effects of both! We both need to travel overseas regularly. This country is a beautiful place to live in, but the isolation makes it essential to get off these islands once a year or so. Seeing how other peoples live opens our minds, and makes us appreciate home too. I like the histories of small things and large. Everyone has some personal history, and all those individual stories combine to make culture. Listening to people tell their stories is fascinating. Group Show: Evan Woodruffe, Kimberley Annan, George Hajian, Sue Dickson, Virginia Leonard, Richard Darbyshire, Teresa HR Lane, Eloise Cato & Glen Hayward. GISBORNE dealer gallery PaulNache is marking the start of the New Year by reaching over the Tasman to bring a pair of Melbourne artists to town. While both Matt Arbuckle and Merryn Lloyd are painters, there are myriad differences in how they use their medium. A long-time associate of the Gisborne gallery, Aucklander Arbuckle first exhibited there in 2012, the year before he moved to take up residence in Berlin. And though his travels brought him back to New Zealand, then to Australia, his focus has remained consistent. He aims to construct and deconstruct painting by using brushstroke and colour to create depth and movement in his exuberant abstracts. From tomorrow he exhibits a new series, Eyeshots, in the Gisborne show. Merryn Lloyd works to create depth, and does so literally, melting a mash-up of beeswax and pigment to create her distinctly-textured works. For the works in her collection, Dusty Plain, she uses the landscape as inspiration, experimenting with shape, composition, colour and depth. The collections Eyeshots, by Matt Arbuckle and Dusty Plain, by Merryn Lloyd, open at PaulNache tomorrow (6pm). Both artists will be in Gisborne for the launch. A VACUUM cleaner hose helped provide the eureka moment for Dr William Peters’ discovery of an overlooked dimension in evolution. The former Gisborne man’s hypothesis does not contradict Charles Darwin’s 19th century theory of evolution. Dr Peters’ discovery defines a mathematical model of the process. His hypothesis is that the design of the human circulatory system is at the heart, so to speak, of human evolution. The circulation pattern, and the way electrically-charged particles in the bloodstream work, ultimately determined the human form. Having trained in cardiothoracic surgery and transplantation; pioneered minimal invasive heart surgery; and invented a ground-breaking heart-assist device, the former Gisborne man took a fresh look at the human heart and circulatory system. He found the heart and circulation were not just a matter of pumping oxygenated and deoxygenated fluid around the body. The circulatory system is also an electron carrier circuit. Oxygen is the electron donor. Blood carries the most vital form of energy needed for life. It perfuses every cell in the body, so what is the blood-flow track around the body? Dr Peters asked himself. Rather than focus on the heart alone, he considered 17th century physician William Harvey’s reasoning that the blood went around the body in a continuous circuit. He drew the general line of the blood with red pen to represent the oxygenated blood as it left the heart. Then he continued the line with blue pen for the deoxygenated which returned to the heart. The illustration showed the line looped in and out of itself, twice, as it completed its circuit around the body. Then he sat down with his drawings, and the vacuum cleaner hose, and twisted it into the configuration he had drawn. The two ends of the hose needed to be joined to complete the circuit. But to match the drawing, the tube needed two longitudinal twists to create the two loops. This involved one left-hand twist and one right-hand twist. The two loops in the closed circuit represented the two-sided human heart. The blood pathway in this convoluted circuit runs from body to heart to lungs to heart to body. “That is, for one lap around the body, the line loops twice through the heart,” he says. More intriguingly, when he pulled the tube apart, the twists cancelled each other out so there was no twist at all. “Why the twists in the first place?” he asked. Unlike humans, fish have only a one-loop system. In the vacuum cleaner hose model, this design required one twist to create a single loop in the circuit. As he drew that circuit with red and blue pens, he noted its figure-8 pattern resembled that of a figure 8 race track. This pattern is designed to give all drivers the same transit around the track. An oblong race-track, on the other hand, results in slower movement at the outer edge. From genetic studies to the fossil record, scientific evidence shows man evolved from fish. Dr Peters looked at his drawings and asked — how did a two-loop circuit evolve from a single loop circuit? And why the twists that keep everything on track? The answer lay in the nature of haem, the complex molecule in red blood cells that binds and releases oxygen. When de-oxygenated, haem has unpaired electrons. The physical principle here is similar to that of a direct-current motor. The electrically-charged, deoxygenated blood-stream in a geomagnetic field creates a moment of force perpendicular to the stream. That is, it wants to deviate the stream. This is known as a paramagnetic force. The red (oxygenated) and blue (deoxygenated) blood lines are diametrically opposed, says Dr Peters. Oxygen has unpaired electrons too. When oxygen binds to haem in the lungs, the unpaired electrons are shared. The now-oxygenated blood switches its polarity in the opposite direction. This means the continuous circuit switches its polarity when it is oxygenated and again when it is de-oxygenated. This gives the continuous electron-carrier circuit a spatial “set” that is enforced by the earth’s magnetic field. The blood internalises electrons from the environment, delivers them for the body to utilise in growth, then goes back to get more electrons. “But if the double loop circuit, with its right and left twist, represents the human heart and the single loop circuit represents the fish circulation, how did two loops arise from one loop?” says Dr Peters. Surrounded by drawings and the vacuum cleaner hose, the answer came with a single stroke of his red pen. The slightest leak of (red) oxygenated blood from the gills back into the (blue) stream as it returns from the body, sets a loop within the loop. Because the thin red stream is repellent to the blue stream it is entrained by, it twines around the host stream. The disparate loops want to scissor apart. Ultimately, they find a new parity. “When you look at the biochemistry and the physics of the blood, it is a closed, repeatedly-switching, electromagnetic-driven circuit,” says Dr Peters. Splicing a second loop into the single loop is a gradual process, but environmental change helped facilitate the upright, human form. His model pointed at a transitionary state, a mixed circuit, that is less efficient, yet retains its balance bilaterally. This is why all animal life is bi-symmetric, he says. Transitionary animals such as salamanders and reptiles have a less efficient system. They need a warm environment for their circulatory systems to evolve. When global warming ended the ice age, salamanders and reptiles occupied a transitionary state in the evolution of the circulatory system. The five limbs that sprout out of vertebrates’ trunks were determined by another evolutionary principle found in Dr Peters’ model. During an earlier investigation of the twisting function of the heart, he found the design of its flow-path was based on the logarithmic spiral. Known as phi, the self-similar spiral growth curve has fascinated mathematicians, scientists, artists, architects, designers and natural philosophers for centuries. It can be found in the nautilus sea-shell and in the architecture of the Athenian temple Parthenon. Because the smallest part of the design shares exactly the same proportions as the whole, the curve evolves in humans, but proportionally, from the centre (the heart) to the extremities. To render the human heart’s logarithmic spiral in 2D, he used digital data captured from the most advanced MRI technology from Germany. The “ghostly soft-shell form” in the image was of the interior of a human heart’s tubes and chambers. “Spheres were placed in the soft-shell form and the centre-point of each sphere was used to ‘join the dots’ to create a singular white line that distils the essence of the form of the distributive motor within humans,” Dr Peters told The Gisborne Herald in 2013. The white line drawn through the centre of each virtual ping-pong ball describes a ragged but definite logarithmic spiral. In geometry, phi generates a five-pointed star known as the pentagram. Phi is also found in a mathematical principle known as the Fibonacci Series. This is achieved by adding each number to its previous sum of numbers. For instance: 1+2=3, 2+3=5 and so on. The logarithmic spiral found in the design of the heart radiates pentamerically. That is, the spiral evolves organically to configure itself at the extremities of the body in fives. As an emblem of this principle, Dr Peters draws on Renaissance artist-scientist Leonard da Vinci’s famous drawing Vitruvian Man. The picture depicts a man standing inside a circle and square. Based on another translation of phi known as the golden section, the proportions of his body match a Classical ideal. Dr Peters produced a print on metallic paper and wrote a concise summary of his discovery — but he knew he would have to expand it. He shelved the scientific pursuit of his idea for a while. Then he came back to it, armed this time with a vacuum cleaner hose. In association with CITY GALLERY WELLINGTON, Aaron Lister and Demented Architecture. For more information about Peter and his work contact the Gallery. ARTS - IN Gisborne last year to visit local gallery owner Matt Nache, the director of the Sydney Contem-porary art fair pronounced himself perplexed. Big question that, and one Nache has been working to answer since he first opened his PaulNache gallery more than a decade ago. And it is one he will get the chance to answer when he next week takes part in the Sydney Contemporary panel discussion From The Edge: Art From The Pacific Rim. Joining four other gallery directors — two from major Sydney institutions, one from Chile and one from Jakarta — Nache will be part of next Friday’s dialogue about how artists and art enthusiasts on the geographical fringes can feel connected to the “global engine of creativity”. He says he’s excited about the opportunity to step on an international stage to talk about the challenges he faces every day in his little corner on the world. But art fair attendees may want to look rather than listen: when Nache lands in Sydney on Sunday his entourage will not only include exhibiting artists and their crew. Also on board will be gallery supporters, among them high-profile New Zealand arts patrons Sir James Wallace, Chris Parkin and Fiona Campbell. And the day before the four-day event opens, Sydney gallery M Contemporary will host a breakfast to bring together the PaulNache/M Contemporary artists and supporters. “That’s actually how you do it,” he says in reference to the PaulNache entourage of workers and supporters. “Everything you do has to be about relationships — with artists, with patrons, with other arts professionals — to ensure your artists get the best opportunity for career development and international profile. Even once those relationships have been established, it is hard for small galleries like PaulNache to get noticed among their larger, richer contemporaries who will be jockeying for attention among the 30,000 art lovers and collectors that turn up to see Sydney Contemporary’s 90 galleries from 13 countries. So Nache says he’s committed to working smarter, going into events like Sydney Contemporary and next year’s Hong Kong Art Central with both great art, and a strategic plan of attack. In terms of the art, he’s showing performance, painting, installation and photographic works by Matt Couper, Peter Adsett, Glen Hayward and Sanjay Theodore, with Couper’s live printing demonstrations — which he’ll do dressed as classic vampire Nosferatu — tipped to be an attention getter. In terms of the plan, he’s applying the techniques he has developed operating from the isolated East Coast of New Zealand. Social media is a big part of that, and not just a few tweets and Facebook updates. PaulNache invests heavily in professional video and still photography to ensure its posts look as good as its art. Getting the attention of the arts and mainstream media is important and Nache has already scored a coup by getting Hayward’s unnervingly realistic installation (I Don’t Want You to Worry About Me, I Have Met Some Beautiful People) profiled by Blouin ArtInfo, which has an on-line readership of millions. Sydney Contemporary is not Matt Nache’s first big art fair — he sees them as a key part of ensuring his artists get seen on the global stage — but it’s the first one he’s attended with Creative New Zealand support “and that’s massive”. Upon returning to Gisborne, the gallery team on September 18 (6pm) opens the new exhibition Nosferatu & the Spider Woman, works by Matthew Couper and JK Russ. Speakers: SUHANYA RAFFEL (Director of Collections at AGNSW), IRENE ABUJATUM (Director of Fundación FAVA and Director of Feria ch.ACO, Chile), MATTHEW NACHE (Director of Paul Nache Gallery, New Zealand), LEO SILITONGA (Our South East Asian VIP Liaison, Director of Art Jakarta), DR GENE SHERMAN AM (Chairman and Executive Director of Sherman Contemporary Art Foundation). Traditionally Venice, Florence, Paris and New York have been considered the leading centers for artistic creativity. Now you can live life as an artist or an art enthusiast in almost many major city and feel connected to the engine of creativity. How has this transpired and what does it mean in terms of production, engagement and marketing art? This discussion touches on how emergent economies have provided new collectors, institutions and philanthropists that support new networks of creative growth. 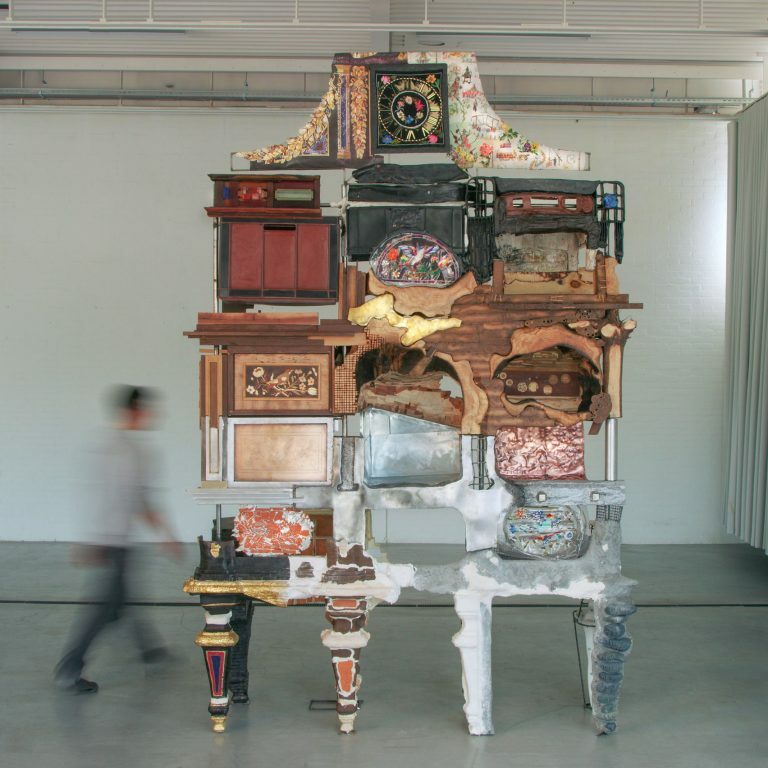 Sydney Contemporary, Australasia’s international art fair, has revealed details of the Installation Contemporary sector of this year’s fair which will take place at the Redfern-based multi-arts centre Carriageworks from September 10-13, 2015. Curated by The Curators’ Department, a Sydney-based independent creative agency, Installation Contemporary 2015 comprises 18 immersive, interactive, and site-specific artworks situated throughout the Fair’s 10,000 square metre footprint. Drawing inspiration from Carriageworks’ towering heights, hidden corners, and evocative spaces, The Curators’ Department have commissioned an exciting array of works by a diverse group of both established and emerging artists. “Driving the project is an investigation into artists’ approach to materials and how, through the installation format, they are able to induce a broader sensory experience and transform the perception of self and space,” state the curators in their notes. The artists participating in Installation Contemporary 2015 are: Tony Albert with Stephen Page, Gunjan Aylawadi, Vicky Browne with Simon Reece and Darren Seltmann, Ham Darroch, Scott Eady, Helen Eager, Glen Hayward, Gregor Kregar, Justine Khamara, Laith McGregor, Christine McMillan Callum Morton, Mylyn Nguyen, Stephen Ralph, Brian Robinson, Caroline Rothwell, and Alex Seton. New Zealand-born, USA-based artist Matthew Couper presents Over, Over, Over, Over, Over, Over & Over, a recently developed performance that uses the repetition of printmaking to complete an edition of new images during Sydney Contemporary. The Nosferatu character, a symbol of the undead, hand-makes the prints one-by-one, burnishing the paper with an old spoon and assessing whether the works make it into the edition.